Shivering is a frequent complication in the postoperative period. The aim of the current meta-analysis was to assess the efficacy of dexmedetomidine on postoperative shivering. Two researchers independently searched PubMed, EMBASE™ and the Cochrane Central Register of Controlled Trials for controlled clinical trials. The meta-analysis was performed by Review Manager. Thirty-nine trials with 2,478 patients were included in this meta-analysis. Dexmedetomidine reduced postoperative shivering compared with placebo (risk ratio [RR] = 0.26; 95% confidence interval [CI]: 0.20 to 0.34), with a minimum effective dose of 0.5 µg·kg−1 (RR = 0.36; 95% CI: 0.21 to 0.60). The anti-shivering effect can be achieved both intravenously and epidurally when administered within two hours prior to the end of surgery. The efficacy of dexmedetomidine was similar to widely used anti-shivering agents, such as fentanyl, meperidine, tramadol, clonidine and so on; however, dexmedetomidine may increase the incidence of sedation, hypotension, bradycardia and dry mouth. The present meta-analysis indicates that dexmedetomidine shows superiority over placebo, but not over other anti-shivering agents. Therefore, considering its high price and potential adverse events, dexmedetomidine may not be appropriate solely for the purpose of the prevention of postoperative shivering. Zhen-Xiu Liu, Feng-Ying Xu, Xiao Liang, and Zui Zou were involved in the study design. Feng-Ying Xu, Jian-Hua Xia, and Zui Zou were involved in the study conduct. Zhen-Xiu Liu, Feng-Ying Xu, Xiao Liang, Jing-Ru Wu, Miao Zhou, and Liang Wu were involved in data retrieval and analysis. Zhen-Xiu Liu, Feng-Ying Xu, and Zui Zou were involved in writing the paper. Zhen-Xiu Liu, Feng-Ying Xu, Xiao Liang contributed equally to this work. Les frissons sont une complication fréquente en période postopératoire. L’objectif de cette méta-analyse était d’évaluer l’efficacité de la dexmédétomidine pour contrôler les frissons postopératoires. Deux chercheurs ont analysé de façon indépendante les bases de données PubMed, EMBASE™ et le registre central d’études contrôlées Cochrane (Cochrane Central Register of Controlled Trials) pour en extraire les études cliniques contrôlées pertinentes. La méta-analyse a été réalisée avec Review Manager. Trente-neuf études comportant un total de 2478 patients ont été incluses dans cette méta-analyse. La dexmédétomidine a réduit les frissons postopératoires par rapport au placebo (risque relatif [RR] = 0,26; intervalle de confiance [IC] 95 % : 0,20 à 0,34), avec une dose efficace minimum de 0,5 µg·kg−1 (RR = 0,36; IC 95 % : 0,21 à 0,60). L’effet anti-frissons peut être obtenu par voie intraveineuse et péridurale lorsque l’agent est administré dans les deux heures précédant la fin de la chirurgie. L’efficacité de la dexmédétomidine était semblable à celle d’agents anti-frissons fréquemment utilisés tels que le fentanyl, la mépéridine, le tramadol et la clonidine; toutefois, la dexmédétomidine pourrait augmenter l’incidence de sédation, d’hypotension, de bradycardie et de sécheresse buccale. Cette méta-analyse indique que la dexmédétomidine démontre une supériorité par rapport au placebo, mais pas par rapport à d’autres agents anti-frissons. Par conséquent, au vu de son prix élevé et de ses effets secondaires néfastes potentiels, la dexmédétomidine peut ne pas être appropriée si le seul but est de prévenir les frissons postopératoires. Shivering is a physiological response of the body for heat preservation through peripheral vasoconstriction and involuntary skeletal muscle contractions.1 Despite the benefits from reducing heat loss, shivering increases the patients’ oxygen consumption, carbon dioxide production, and energy expenditure,2 and it may cause severe adverse effects during the recovery from general anesthesia, especially in patients with impaired cardiac and pulmonary reserves. Moreover, for awake patients, shivering is an uncomfortable experience, sometimes even worse than surgical pain.3 Effective prevention and treatment of shivering has become an essential step in increasing postoperative comfort and reducing shivering-related complications. Currently used anti-shivering agents are restricted by their side effects. For example, meperidine may induce nausea, vomiting, and respiratory depression,4 and patients receiving ketamine5 frequently experience hypertension and tachycardia. Dexmedetomidine is a potent and highly selective α2-adrenoceptor agonist with sympatholytic, sedative, amnestic,6 and analgesic7 properties. Clinical researchers have already studied the administration of dexmedetomidine to prevent shivering. Nevertheless, controversy about the effectiveness of dexmedetomidine for the prevention of shivering is still ongoing, with different results reported in associated literature. In our view, a quantitative analysis on a consolidation of the related data was needed, and therefore, we conducted the present meta-analysis in order to assess the relative merits regarding the anti-shivering effect of dexmedetomidine. This meta-analysis of controlled trials evaluates the effect of intraoperative dexmedetomidine on postoperative shivering and was performed according to the recommendations of the PRISMA statement. Two authors (L.Z.X and X.F.Y.) systematically searched PubMed, EMBASE™ and the Cochrane Central Register of Controlled Trials (CENTRAL). The search strategy comprised the following key words: (dexmedetomidine) and (shivering, shiver, tremor, shaking, or anti-shivering) and (postoperative, operation, surgery, anesthesia, or anaesthesia). The literature search was updated on August 30, 2014 with no language limitation. The reference lists of the reviews, original reports, and case reports (retrieved through the electronic searches) were checked to identify studies that had not yet been included in the computerized databases. The study selection criteria were pre-established. Inclusion criteria included: (1) controlled clinical trials; (2) intraoperative administration of dexmedetomidine; and (3) the reported presence or absence of shivering. Exclusion criteria included: (1) abstracts only; (2) patients with severe cerebrovascular disease or other contradictions for dexmedetomidine; (3) duplications; (4) missing data; and (5) incorrect statistical analysis performed in the report. The data retrieval included: name of the first author, publication year, funding, interventions, patients and operations, type of anesthesia, length of surgery, number of shivering cases and total patients, randomization, blinding, allocation concealment, withdrawal, body temperature, and side effects such as nausea, vomiting, and hypotension. Two authors (L.Z.X. and X.F.Y.) independently assessed the articles for compliance with the inclusion/exclusion criteria. Any disagreement during the process of meta-analysis was resolved by discussion among all authors. Two authors (L.X. and Z.M.) independently evaluated the quality of the trials according to the guidelines recommended by the Cochrane Collaboration.8 Six categories were evaluated, with the first three considered as “key domains” (randomization and sequence generation, allocation concealment, blinding method, incomplete outcome data, selective outcome reporting, and other sources of bias). Each category was summarized into three levels: low risk, unclear risk, and high risk. The risk of bias of a particular study was assessed in relation to the three key domains: LOW (low risk of bias for all key domains); UNCLEAR (unclear risk of bias for one or more key domains); and HIGH (high risk of bias for one or more key domains). The effect of dexmedetomidine on postoperative shivering compared with placebo or other anti-shivering drugs was estimated by calculating the pooled risk ratio (RR) and its 95% confidence intervals (CI) of the incidence of shivering. The overall effect was determined by a Z-test. All reported P values are two sided. A fixed effects model was used when I2 ≤ 50%, otherwise a random effects model was adopted. Sensitivity analysis was performed to test the robustness of the results by re-analyzing the data after excluding the high-risk studies. Subgroup analyses were based on the types of anesthesia, the doses and routes administered, and the A-E interval (defined as the time interval from the last administration to the end of the operation. Two-hour duration was used as the cut-off point, because the half-life of dexmedetomidine is about two hours).9 Begg’s test was conducted to assess potential publication bias. Statistical analysis was performed with Review Manager (RevMan version 5.3; Cochrane Collaboration, Oxford, UK) and Stata® version 12.0 (Stata Corp, College Station, TX, USA). As shown in the flow diagram (Fig. 1), the search of PubMed, EMBASE, CENTRAL, and the reference lists yielded 237 articles. Initially, 166 trials were discarded because they were not controlled trials according to the titles, and after reviewing the abstracts, an additional 21 trials were excluded as they were not relevant to our study. We could not retrieve the full texts of three10-12 of the remaining 50 papers despite attempting electronic retrieval interlibrary loan or contacting the authors. After carefully reading 47 papers, we excluded eight with no related endpoints. Finally, 39 trials3,9,13-49 met the selection criteria and were included in the meta-analysis. Twenty-two of the included studies explored the efficacy of intraoperative dexmedetomidine compared with placebo.3,9,13-32 Other control agents included fentanyl,33-36 remifentanyl,37,38 meperidine,15 midazolam,39-41 propofol,43,44 ketamine,45,46 tramadol,24,47 clonidine,42 propacetamol,48 and buprenorphine49 (Table 1). Twenty studies reported the side effects, including sedation,4,13,22,28,31 nausea,9,14,20,22,23,27,29,30 vomiting,14,22,23 bradycardia,17,20,23,26-28,30-32 hypotension20,23,26-28,30,32 and dry mouth.14,22,23 Only eight of the included articles clearly mentioned the funding status, five of which3,21,22,35,37 were supported by an institutional foundation, and three studies23,44,47 declared no financial support. Thirty3,13,14,16,19-21,23,24,26-33,35-38,40-44,46-49 of the 39 included trials provided a detailed description of randomization. Odd/even admission number was used in the process of randomization in three trials.9,25,45 Twenty-nine trials3,9,13,14,16,19,21,23,27-31,33-38,41-44,47-49 reported allocation concealment, and 27 studies39,13,14,16,19,24,25,27-35,37-42,44,47-49 were double-blinded. No incomplete outcomes (attrition bias)8 were reported in the 39 included trials, and all studies reported every endpoint mentioned in the Methods section (reporting bias).8 however, some bias8 may exist in of the two trials,27,32 as the length of surgery was not clear. An overview of the risk of bias is summarized in Fig. 2. Twenty-two trials3,9,13-32 including 1,415 patients investigated the anti-shivering efficacy of dexmedetomidine compared with placebo. The incidence of postoperative shivering in the dexmedetomidine group was significantly lower than in the placebo group (34.2% vs 8.6%, respectively; pooled RR = 0.26; 95% CI: 0.20 to 0.34) (Fig. 3). Begg’s test suggested no significant publication bias (P = 0.128) in this comparison between dexmedetomidine and placebo. Furthermore, dexmedetomidine can significantly reduce postoperative nausea and vomiting (PONV) compared with placebo (data not shown). Nevertheless, compared with placebo, dexmedetomidine increased the probability of sedation (pooled RR of five trials: 2.94; 95% CI: 2.18 to 3.98), bradycardia (pooled RR of nine trials: 2.39; 95% CI: 1.54 to 3.72), hypotension (pooled RR of seven trials: 1.35; 95% CI: 1.04 to 1.75), and dry mouth (pooled RR of three trials: 7.33; 95% CI: 2.28 to 23.58) (Table 2). Subgroup analyses were carried out to evaluate the factors that affected postoperative shivering. The incidence of shivering in groups with an A-E interval less than two hours was reduced by dexmedetomidine (pooled RR of 18 trials: 0.24; 95% CI: 0.19 to 0.32) compared with placebo (Fig. 4); however, only one trial30 was conducted with an A-E interval more than two hours in which no statistical difference in the incidence of shivering could be found between dexmedetomidine and placebo (P = 0.64). Subgroup analysis suggested a beneficial effect of a single-dose bolus of 0.5 µg·kg−1 dexmedetomidine compared with placebo (pooled RR of three trials: 0.36; 95% CI: 0.21 to 0.60). A sensitivity analysis to remove a high-risk study21 (high risk of bias for one or more key domains, refer to Methods section) showed a similar result favouring dexmedetomidine (pooled RR = 0.52; 95% CI: 0.31 to 0.87) and decreased heterogeneity (I2 from 73% to 42%). One trial19 presented that 0.75 µg·kg−1 dexmedetomidine reduced the incidence of shivering with a reported P value of 0.002. A subgroup of dexmedetomidine 1.0 µg·kg−1 also reduced the incidence of shivering (pooled RR of six trials: 0.24; 95% CI: 0.16 to 0.37) (Fig. 5). Dexmedetomidine injected intravenously (pooled RR of 17 trials: 0.24; 95% CI: 0.18 to 0.31) or into the epidural space (pooled RR of three trials: 0.28; 95% CI: 0.11 to 0.72) lowered the incidence of shivering; however, two trials evaluating dexmedetomidine injected into the subarachnoid space showed no difference compared with placebo (pooled RR = 1.57; 95% CI: 0.45 to 5.54) (Fig. 6). Sensitivity analysis was performed excluding the article30 with an A-E interval more than two hours (no difference from placebo) to minimize heterogeneity. A similar result favouring dexmedetomidine was found (pooled RR = 0.13; 95% CI: 0.03 to 0.52) with almost no heterogeneity across studies (I2 = 0%). Nineteen studies,15,24,33-45,47-49 involving 1,063 patients, compared the efficacy of dexmedetomidine with other drugs on postoperative shivering. No significant difference could be found between dexmedetomidine and other agents, including fentanyl, remifentanyl, meperidine, midazolam, ketamine, tramadol, clonidine, buprenorphine, or propacetamol, except propofol (pooled RR = 0.33; 95% CI: 0.11 to 0.98) (Table 3). Nevertheless, one of the articles comparing dexmedetomidine with propofol was assessed and had a high risk of bias. Therefore, the superiority of dexmedetomidine over propofol was not reliably assessed. CI = confidence interval; RR = risk ratio. 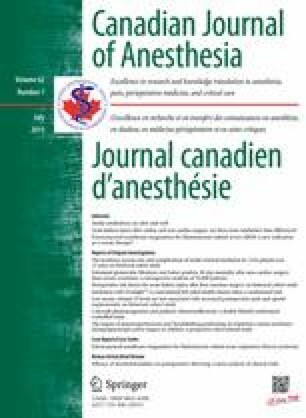 Our systematic review showed that dexmedetomidine not only has an anti-shivering effect, but it may also increase hemodynamic stability during a sudden increase in stress (e.g., intubation, skin incision, extubation), provide a deeper level of sedation, decrease PONV, and prolong postoperative analgesia compared with different agents (Table 4). Of importance, however, recovery and orientation time (patients’ response to questions regarding time, place, and person) after tracheal extubation was prolonged with dexmedetomidine when compared with certain other agents (Table 4). Postoperative shivering frequently causes uncomfortable feelings and is complicated by such complications as tachycardia, hypertension, and cardiac ischemia, which can lead to severe consequences. There is still an urgent need to find an effective way to prevent or control postoperative shivering. The present meta-analysis was undertaken to evaluate the efficacy of dexmedetomidine in the prevention of postoperative shivering. The main findings are as follows: (1) Dexmedetomidine shows superiority over placebo in the prevention of postoperative shivering, but not over other anti-shivering agents. (2) The beneficial effect can be achieved through both intravenous and epidural injection. Nevertheless, the time interval between the last administration and the end of surgery should be less than two hours, which is about the half-life of dexmedetomidine. (3) While a 1.0 µg·kg−1 bolus dose is the most commonly used in the published articles, a 0.5 µg·kg−1 bolus infusion can still have a preventive effect. (4) Physicians should be cautious about the side effects of dexmedetomidine, such as sedation, bradycardia, hypotension, and dry mouth. Despite its analgesic, sedative, antiemetic, and anti-shivering properties, dexmedetomidine increased the risk of these side effects. Somnolence, one of the most dangerous complications, although rare, has been reported resulting from an overdose of dexmedetomidine.51 Moreover, the price of dexmedetomidine is considerably higher than other drugs. Consequently, we do not recommend the use of dexmedetomidine solely for the purpose of preventing postoperative shivering. A previous meta-analysis1 suggested an inferior role of dexmedetomidine compared with some “more efficacious agents” like meperidine, tramadol and nefopam. Nevertheless, the results of the analysis are inconclusive, as there were only two trials involving dexmedetomidine with just 160 patients, and there was no direct comparison between dexmedetomidine and the other agents. In contrast, we included 39 articles, adopted a wide range of clinically relevant outcome variables, and focused on direct comparison in order to reach a solid conclusion. This is a novel meta-analysis regarding the use of dexmedetomidine for anti-shivering and an evaluation of the factors that might influence its effectiveness. Most of the included trials were well designed and reported with low risk of bias. Moreover, we compared dexmedetomidine directly with other anti-shivering agents and excluded studies with a high risk of bias through sensitivity analysis. All of these strategies enhanced the reliability of our conclusion. Nevertheless, this meta-analysis has several limitations. First, only eight trials3,21-23,35,37,44,47 reported the source of their funding; and therefore, we did not know whether the other trials were supported by industry, which could make the design prone to show the drug in its best light. Second, body temperature was detected by various techniques throughout the literature and we failed to include this as an evaluation item. In conclusion, the present meta-analysis indicated that the administration of dexmedetomidine may prevent the incidence of postoperative shivering, although there was no difference compared with other anti-shivering drugs, such as fentanyl, meperidine, tramadol, and clonidine. Our results provided evidence to extend the clinical value of dexmedetomidine beyond its routine usage for sedation and analgesia. Nevertheless, due to its relatively high price and potential side effects, we do not recommend that anesthesiologists or perioperative medical staff use dexmedetomidine solely for the purpose of preventing postoperative shivering. The authors declare no financial interests relating to patents or shareholdings in corporations involved in the medical market. The study was supported by the Shanghai Chen-Guang program (10CG40), Shanghai Health Bureau (XYQ2011022), National Natural Science Foundation of China (30772092), and Natural Science Foundation of Shanghai (14ZR1413700).